Thi is at spacious apartment on the upper floor of an ancient farmhouse in the coutry near Cortona. The apartment is completely independent with a large private garden, inpendent access, private parking, own outside furniture and private barbecue. The house is just outside a small country villag, a peaceful and relaxing location but easy to reach and to move from for your daily trips. Cortona, the famous medieval city, is just 5 minutes drive and you can reach many of the most interesting locations in central Italy with a short drive. my family of 6 adults stayed for 5 nights at llbozzino, the ground floor apt. The house is spotless, bathrooms beautiful. Michele meet us at the house, gave us a tour, answered all our questions and then drove our 4 daughters to the supermarket. The gardens are beautiful, we sat on the outdoor patio table every night after touring and dinner to drink wine and look at the beautiful stars. We toured Cortona, Sienna, and drove to Lake Trasimeno,, took the ferry to Isola Maggiore and had a wonderful lunch on the lake. We took the cooking class with Michele mom, Chef Donatella and had a great time and learned to cook awesome food.Michele is an awesome host, after our arrival we noticed the carafe to the american coffee pot was missing, I called Michele and he arrived with a new coffee maker in 45 mins!!! Do not hesitate to rent this beautiful farmhouse. During this stay the property was under previous owner or management. After many vacations in different holiday resorts we decided 4 years ago, to approach Italy in a very different way. We planed to rent a farmhouse, with a private garden and a pool - preferable in Tuscany. After some searching through the web I made a list of relevant houses and start calling the owner to ask for prices and to get a feeling about the owner. 4 years and 4 summer vacations at La Bozza, here is my first review: Positive: La Bozza is a truly old farmhouse. You can actually feel the history of the house. The rooms are individually furnished with antiques (among others a discarded old church bench of the owner family), on the walls you find beautiful black and white photographs of Cortonese people around 1920 – "the good old times". Also positive: the garden area of the house is very large, quiet and well kept – right outside of the garden area you see sunflowers and tuscan hills crowned by stone pines. The pool area is just wonderful; especially the kids enjoyed this part of the house. Negative: it rained one day. The positive first impression I got from Mr. Catani on the phone, has been confirmed many times – beside that he speaks excellent English, he is a gentle smart man, discreet, very helpful and he solves problems subito :-) looking forward to be back next summer!!! 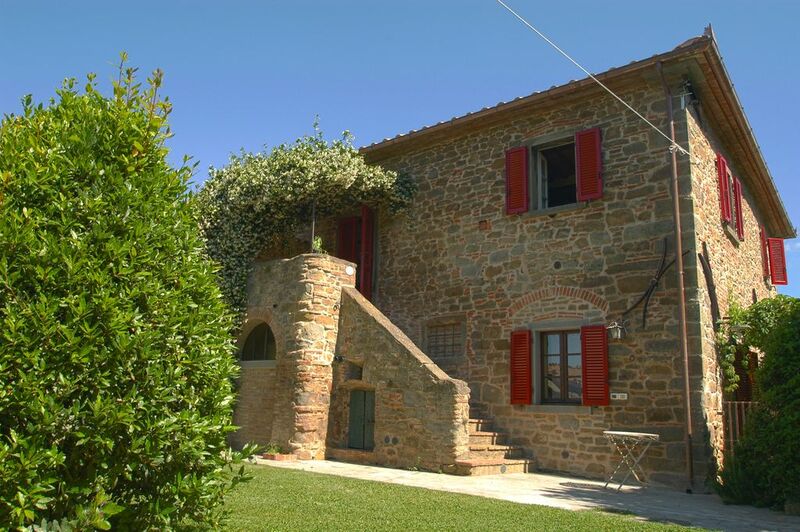 This farmhouse in Cortona is fantastic! Michele, the owner, is very nice and very accommodating. The grounds that the dwellings are on are beautiful! I also highly recommend the cooking lesson with Michele's mother Donotella. Donotella is an amazing cook and the dinner afterward is amazing!! The property is just 10 minutes from the city center of Cortona town. There are also good restaurants just down the hill from the property itself. I've stayed at Azienda Fontelunga for two trips now. I've stayed in the house called La Bozza and a separate 2 story house a little further from the main property. Both experience were fantastic! I can't wait to go again. séjour parfait, très belle maison, piscine appréciée ! Nous avons passé un merveilleux séjour à La Bozza : maison très conviviale, restée fraîche malgré la chaleur extérieure, joli jardin très agréable à l'heure de l'apéro, très belle piscine, localisation parfaite à 5 minutes de Cortona avec vue sur le village et les champs... Je serais heureuse d'y séjourner à nouveau !